Lucchini RS operates its own laboratories equipped with sophisticated instrumentation. They verify product conformity to the customers’ requirements and to the international standards. 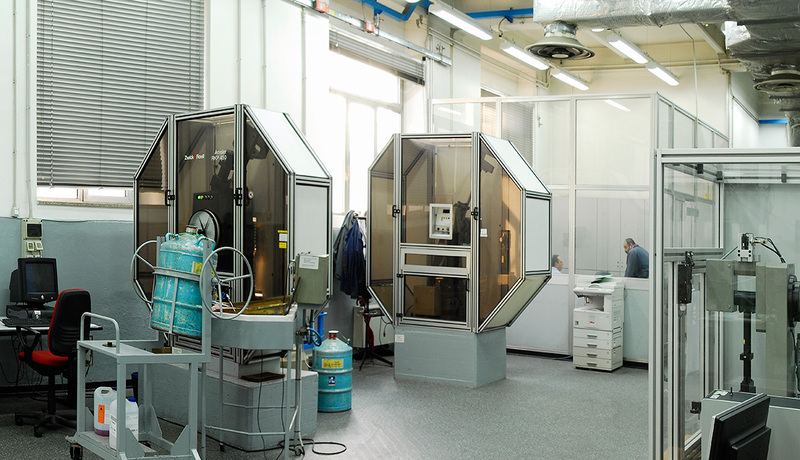 Lucchini RS has a metallurgy laboratory, a chemistry laboratory, a technological laboratory and a high-tech laboratory. They perform a range of tests, including mechanical property tests, chemical and environmental analyses, metallographic, macrographic and micrographic tests using optical and electronic microscopes, dilatometric tests and corrosion tests. The superior quality of the service offered by Lucchini RS laboratories is recognised and guaranteed by ACCREDIA, which certifies conformance with the requirements of UNI CEI EN ISO/IEC 17025 and with ACCREDIA’s own requirements, namely impartiality and competence of personnel, appropriateness of equipment and instrumentation, and independence in performing laboratory activities.